Having litigated and advised clients on issues related to non-competes for almost 15 years, I hear the terms "trade secret", "confidential information" and "proprietary information" every day. It can be a little numbing, and unfortunately, I think more about these terms of art than I should. So I thought I would try to summarize, briefly, what they mean in practice. The terms are different and they are not at all interchangeable. 1. Trade Secret. A trade secret is the type of non-public business information afforded the highest legal protection. Essentially, a trade secret is a narrow subset of valuable commercial information. There are two keys to establishing the existence of a trade secret: (a) value; and (b) secrecy. But here is the catch for lawyers and clients alike. Something does not qualify for trade secret protection simply because it is valuable, or because it is secret. It must be valuable because it is kept secret. Put differently, if something publicly available provides you the same or similar value, it's not a trade secret. Also, courts scrutinize secrecy measures very carefully. You need to demonstrate affirmative steps were taken to protect the information. 2. 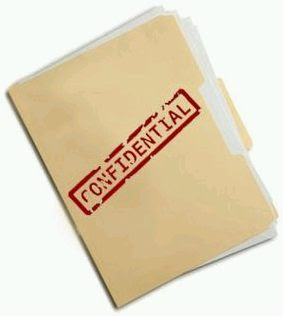 Confidential Information. I hate this term. And I hate it because by itself it is meaningless and overused. The law treats confidential information differently than a trade secret. In Illinois, it means "particularized information which is unknown to others in the industry and gives an employer advantage over his competitors." Trying to differentiate this from the trade secret definition is not easy, but here is the best I can come up with. First, courts will be more lenient on the degree of specificity required in claiming something is confidential. Second, courts won't impose that high of a burden on employers to show what secrecy measures are employed. And third, it is not clear that an employer needs to show the information is valuable because of its confidentiality. Keep in mind that while breach of confidentiality likely has legal implications, the remedies available are not as sweeping as in a trade secrets case. 3. Proprietary Information. As much as I hate the term "confidential information", I hate this term more. It is a mistake to equate confidential information with proprietary information. If something is "proprietary", it simply means it is owned. A patent, or documents submitted in a patent application, can be and likely are proprietary, but when published they are neither secret nor confidential. Even the content of this blog is proprietary to me, because I have copyright in it. But again, it's not confidential (as evidenced by the fact you are reading this...). A form contract may be proprietary in the sense that a company developed it, but if customers have access to it without restriction, it probably is not confidential. Absent some breach of confidentiality, disclosure of "proprietary" information may not be problematic.